No messy gas; just an easy-to-use, lightweight, maneuverable and economical push reel mower. 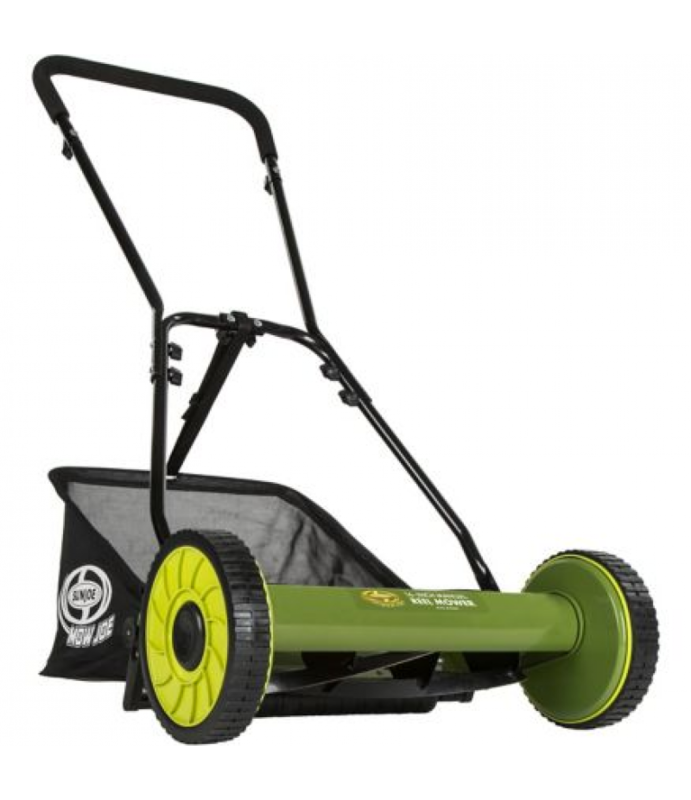 Powered by you, the Sun Joe MJ500M Reel Mower with Grass Catcher handles tough turf with ease and provides a quiet, eco-friendly solution..
No messy gas; just an easy-to-use, lightweight, maneuverable and economical push reel mower. Powered by you, the Sun Joe MJ500M Reel Mower with Grass Catcher handles tough turf with ease and provides a quiet, eco-friendly solution for any lawn. Maximum Deck Height: 1-13/16 in. Minimum Deck Height: 7/8 in.